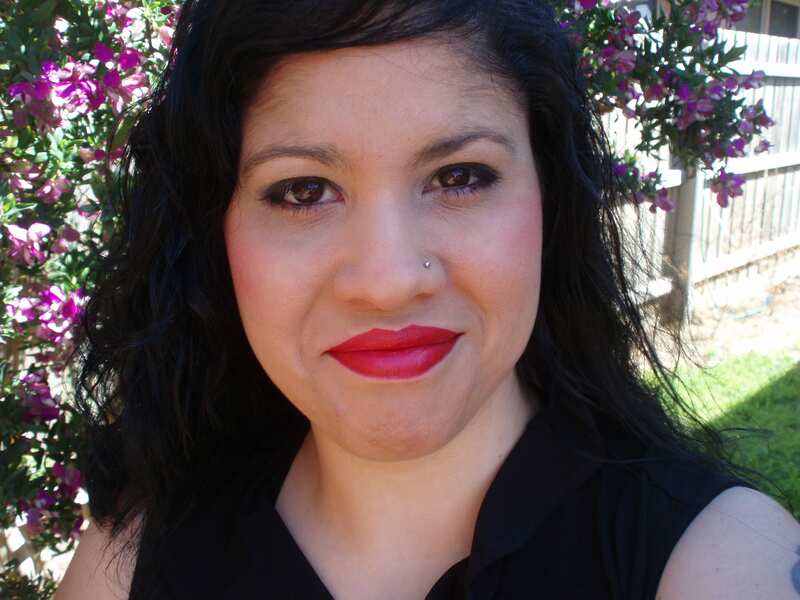 Dr Zuleyka Zevallos earned a PhD in Sociology from Swinburne University, Melbourne, where she remains an Adjunct Research Fellow. She currently runs her own business, Social Science Insights, a Research and Social Media Consultancy working with small to medium businesses, government, and not-for-profits who require social research, training and policy advice. She also provides research-driven social media content to help public education and health campaigns. Here Zuleyka shares her career journey, and offers tips to researchers thinking of moving out of academia. How did you move from studying for a PhD to starting your own consultancy? There’s no normal working day for me, per se, but my days are long (I work late into the night) and I also work seven days per week. The only thing that’s constant is that I read a lot of research and media articles. When I’m working on social media, I spend the first half of the day liaising with clients or their partners and stakeholders if we’re collaborating on a community event, a product launch, or cross-promotions. I constantly monitor and analyse social media metrics (what works, what doesn’t, industry trends and so on). I write blog articles, which means conducting research and writing, or I otherwise write social media posts and respond to reader questions on Twitter, Facebook and so on. I tend to leave the second half of the day to work on design, like making posters and artwork for clients, as well as taking photographs and making videos for their Instagram and blogs. When I’m working on research articles and projects, my day is similar to my day as an academic: I spend most of the day reading and writing. In between, I am always working on future projects that I want to get off the ground, and I work towards applying for grants and otherwise seek funding for my own research. I have a high degree of flexibility about how I structure my daily activities, but this depends on what work needs to be done. The best thing about the social media aspect of my role is the interaction with followers. I’ve worked with very different organisations and I never cease to be amazed by how generous people are in sharing their stories. As a sociologist, I’m invigorated by the opportunity to interact with different types of people and learn about their lives. I love answering their questions about science in particular. There’s a lot of misinformation on health issues, so it’s interesting to see how the public engages with lifestyle and health advice that they read in the news. I’ve also been very lucky to be able to work on research projects that directly speak to my passions, such as gender and diversity in the workplace. The toughest aspect of my job is that consultancy is contract-based and therefore ultimately impermanent (ironical, given I left academia for its casual contracts!). Being a woman of colour, and being relatively younger than my clients, my professional knowledge is often questioned in a way that would not happen if I was a White man. Most of my clients have been lovely, but I’ve unfortunately also faced many other pressures such as having my work plagiarised and misappropriated. It is difficult not having someone else to take over when you’re feeling ill or when you’re overwhelmed with work and other unforeseen issues. Working for yourself is a joy, but it’s also exhausting and it can be alienating. I’m constantly asked for professional advice by peers who think my work should be free, including friends, former colleagues and academics. Potential clients constantly ask for discounts or expect you to give away work “for exposure.” This is highly demoralising as it is a constant aspect of interaction; but unfortunately it is a common occurrence amongst consultants and freelancers, especially for women. How is the role similar/different to your time in academia? The role is similar in that everything that I do requires research. Whether I’m writing a blog post, or putting together a report or creating images, I use social science concepts and research to guide my decisions and my writing. It’s different in practice because I cannot use jargon language. I’m answering everyday problems for the public, or addressing specific business and policy concerns. You can’t end a report or project saying, “More research is needed.” I need to give concrete answers and I’m expected to directly demonstrate the immediate benefit for clients. I rely more on visuals to convey ideas than I did as an academic. Businesses in particular do not like to read long reports with lots of text; they want succinct responses to specific problems. I’ve learned not to expect a clear trajectory as my career evolves. As a student, I had seen myself as having this neat career path from student to early career researcher, to lecturer, to senior lecturer and so on. Moving outside this academic path, I have gone on to work with many different organisations doing work I would have never imagined. I’ve learned to adapt wherever opportunities emerge. I’d like to focus more on my own research in the near future and ideally, I’d like to be in a position to work on longer-term public education campaigns. What top tips would you pass on to a PhD student/post-doc interested in this type of work? There are lots of opportunities in social media at the moment. The market is over-run by SEO (Search Engine Optimisation) hunters who may have some technical skills, but lack research training and strong writing and communication skills. This means there’s a niche for science writers. Many local governments and councils in particular are looking to hire people with degrees to run online public health and community engagement campaigns. Research opportunities in social policy have been shrinking in Australia and other countries due to funding cuts, but there is a higher demand for research skills in industry. One of the best things I did as a PhD is to take advantage of various interdisciplinary courses. I did a two-year leadership program with other postgraduate students from different fields. This helped me tremendously in getting my first job outside of academia, as I showed that I had experience working with different scientists, and I could speak with authority about how to navigate issues in cross-disciplinary collaborations. Most employers beyond academia are looking for researchers who can work with people from different fields, and who understand how to problem-solve across disciplines. While my specialty is in qualitative research, my degree also exposed me to quantitative research, and during my time as a student, I did short courses on running focus groups, working with analysis software (NVivo and SPSS) and bibliographic software (Endnote). University libraries run these courses free all the time; students should take advantage of these courses, and play around with as much software as possible, and it would be wise to take a coding course, even if it has nothing to do with your thesis. If you can weave these skills into your PhD research, all the better, as mixed methods are especially impressive to employers. If you’re able to do an internship, or address an applied research question, this will give you a competitive edge. Having a strong understating of the practical applications of your thesis will be a bonus at interviews. Students should also use social media but approach it professionally. This means being focused about what you write and share. Start working on the job you want at least a year before you finish your degree, using social media. Tweet about your research, share your papers and slides if you can online, write a focused blog and think about it as your online portfolio. Make sure you have a well-filled in LinkedIn profile, and be discerning about whom you connect with and what you share. Many employers explicitly ask for your LinkedIn profile, or at least use it to screen applicants and head-hunt talent. I’m always amazed at how poorly students use LinkedIn; it’s a great resource for job searching. My final piece of advice is to be open to change. Most students think of non-academic work as a failed career. The reality of the job market is that we have a surplus of PhD students and not enough academic jobs. The likelihood of needing to seek work beyond academia is a certainty for the overwhelming majority of graduates. Going into a PhD with this knowledge will save much heartache later on. This is why I set up Sociology at Work; as I met more applied researchers, I realised how poorly academia prepares researchers for an applied career. We are an international not-for-profit network offering articles and resources to support the career planning of students, and raise the professional esteem of practitioners. Science lets us answer lots of different problems; the world beyond academia is filled with many adventures and possibilities that should be savoured, not feared. My career beyond academia has made me a stronger sociologist by allowing me to work with, and help, people from many different walks of life. Applied science in action improves policies and processes, changing lives before your eyes. Make the most of your career by expanding your horizons early on! 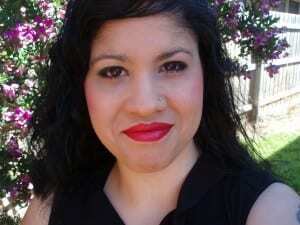 Zuleyka is one of the three founders of STEM Women, a site adressign gender inequality in science. You can read more about the site here. Studies show that women leave academic research in larger numbers than men, and are poorly represented at higher academic levels. Initiatives like Athena SWAN have been set up to address the problem, but there are other sources of support out there too. One example is STEM women. The site was put together by Dr Buddhini Samarasinghe, Professor Rajini Rao, and Dr Zuleyka Zevallos, three women with PhDs who wanted to generate open debate around how to improve the situation for women in STEM. Over the next few days, we will hear from each of these women about their own career journeys. Here, Buddhini tells us a little more about the site. How did you first start the website? Back in 2012, I think it was on International Women’s Day, someone on Facebook shared a list of female scientists whom you may or may not have heard of. Obviously Marie Curie was in it, and there were lots of other black and white photos of women who were mostly already dead. Great that such a list is being shared, but I figured I should put together a list of more current female scientists to whom people could better relate. I used Google +, which was pretty new at that time and had lots of female engineers and scientists who were posting publicly about their work. So I started compiling a list of their names and ‘shared’ them around, making a group of strong female role models who could inspire people. Off the back of that, I teamed up with two other female researchers and launched a website to celebrate females in STEM, and to comment on the current issues they face. What kind of things does your website cover? We profile successful female scientists, and host Q&As with them, to help inspire the next generation of female scientists. For example, we featured an amazing woman called Annika O’Brien who runs robotics workshops in disadvantaged areas in LA, and has her own company now. And we also talk to high-profile male scientists to try to get their input in how to improve the STEM environment for women. And we call out and comment on current issues that are relevant to women in STEM, such as sexism. As an example, last year the journal of Proteomics published a paper on the sequencing of the coconut genome, and the picture that accompanied a link to the article featured a scantily-clad woman holding coconuts in front of her breasts, which was extremely inappropriate. One of my fellow website authors wrote to the journal’s editor to complain, and she received a less-than-satisfactory response from him, telling her it was all normal, and as a physiology Professor she should be familiar with female physiology! The photo has since been taken down in response to a twitter storm involving outraged people like us. But I think this perfectly highlights why a site like ours is needed. Firstly, the picture went up when it absolutely shouldn’t have. But secondly, when it was taken down, the apology was far too wishy-washy; they were sorry we’re offended, but they didn’t really acknowledge what they’d done wrong. Which is why things like this keep happening e.g. The Rosetta-landing shirt controversy. Some people think it’s silly to focus on these things, that at least the situation today is better than it used to be. But these are the microaggressions that make women feel less welcome in the male-dominated scientific space. We want to shine a light on sexism within STEM, to help the women facing it know they’re not alone, and to try to move the field forward. Picture courtesy of STEM women, taken from their Nature blog article. 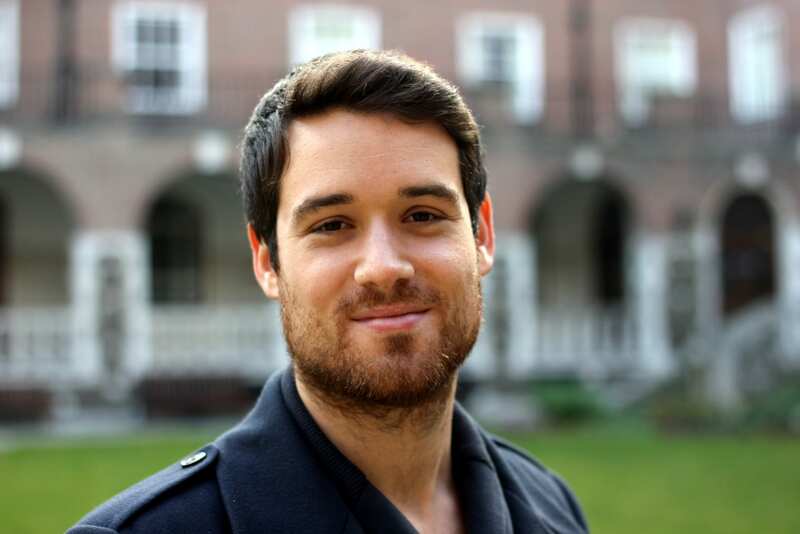 Javier Elkin, PhD student in Translational Cognitive Neuroscience at UCL took a 6 month break from his PhD to work in science policy at the Department for Business, Innovation & Skills (BIS). He explains how he benefited from this experience below. I was always interested in Science Policy but didn’t know how to find out more about what it entailed. I attended two UCL Careers events which gave me the confidence to apply for a secondment during my PhD. The Newton’s Apple workshop at the Houses of Parliament provided an introduction to the different roles of government departments and politicians. At the UCL Careers Future in Government and Policy Employer Forum for PhDs and Researchers I had the chance to meet people from different policy organisations that helped me explore the different possibilities to funding the months away from my PhD. I enjoyed the fast-paced and varied nature of the work. I was always working on different projects simultaneously that appertained to a range of scientific topics and had real impact on the world. I was able to contribute to high level policy documents like the Science and Innovation Strategy which the Chancellor of the Exchequer mentioned on live television during the Autumn Statement. In research we usually have to spend at least a few years on a single project before we see the impact of our work and even then it rarely departs the scientific community. What were my biggest challenges? A lot of policy involves pre-emptive work in case it is later required under severe time constraints. It is impossible to always accurately foresee the exact task that will be requested due to the nature of government proceedings and Ministers. This means often dropping that piece of work you have been tirelessly working on for days, to concentrate on the next task because a new deadline has been set or new priorities have been issued. This also means accepting that your final work will never be perfect because it generally requires input from many people and deadlines are much tighter than in science. To what extent did I use my specialist knowledge and/or higher level skills obtained from my PhD? Previous experience communicating my research during public engagement events was useful when writing compelling case studies of the most recent UK scientific breakthroughs to ensure higher spending in science and research. I compiled simple and compelling paragraphs to be used as examples in the Science and Innovation Strategy. I also went from being the worse programmer in the lab to a BIS IT buddy, running around the floor and helping people with computer issues. When I was in the team analysing the Capital Consultation responses, I proposed a solution based on my experience with Big Data analysis which earned me a £300 bonus for increasing efficiency! Be proactive in networking. I had a great conversation with the Brazilian Ambassador over champagne and also met senior people at events. Go full time! Immerse yourself in the placement. You will be able to take ownership of your work, assigned to interesting tasks more often, and create meaningful relationships with your co-workers. Encourage others to do the same. When I completed my placement, I gave a presentation to the Institute of Cognitive Neuroscience to share that Policy is a seldom mentioned but highly relevant part of the research process that impacts all levels of academia.